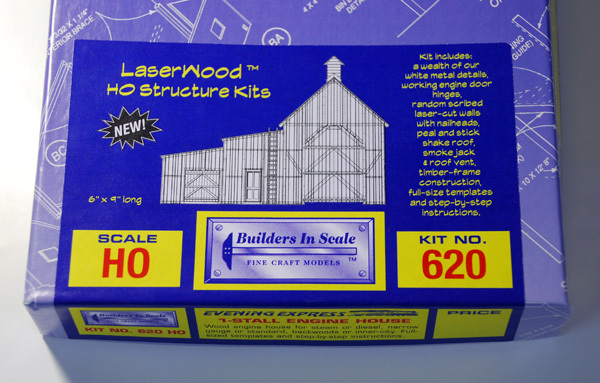 Features high quality laser engraved wood, quality materials, and our own white metal details. 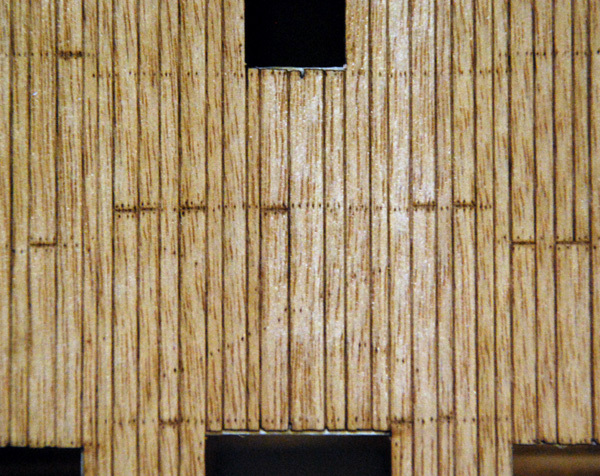 After developing our generic LaserWood planking we decided it was time to do some new kits using the techniques featuring laser-engraved scibing and precision nailhead detail. 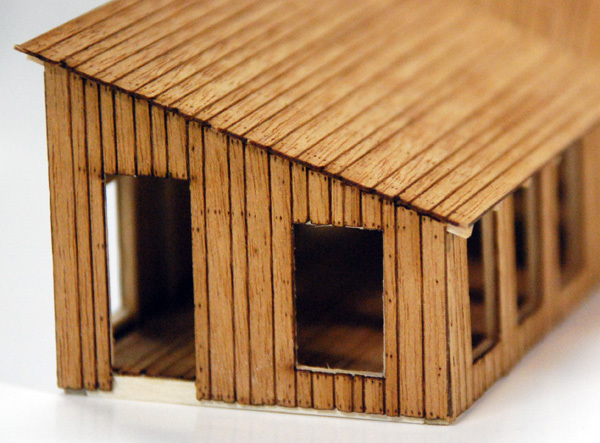 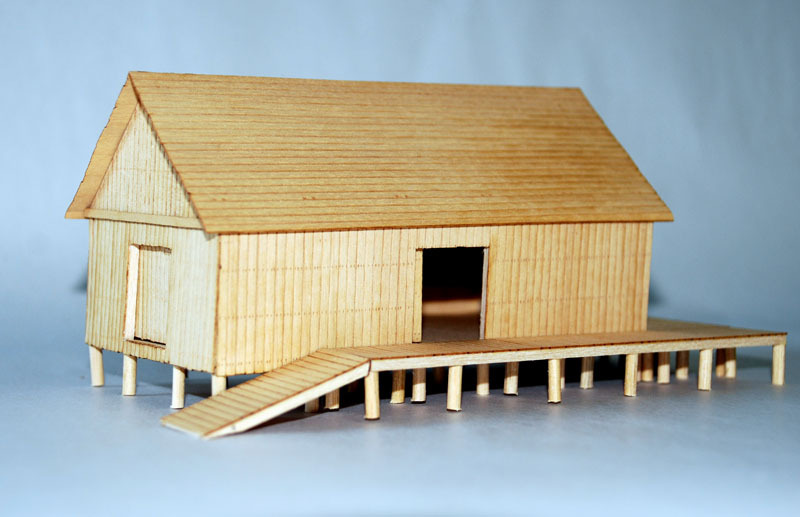 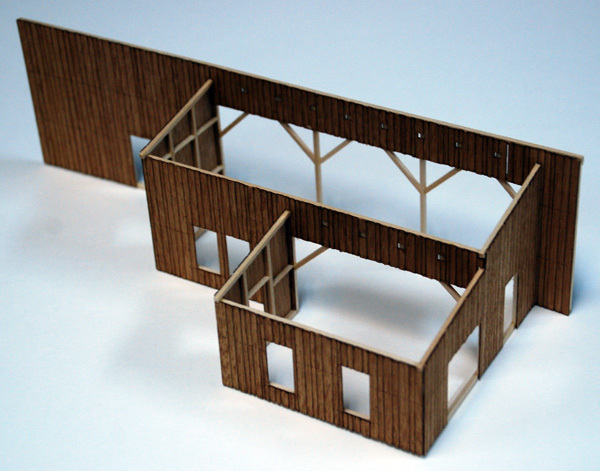 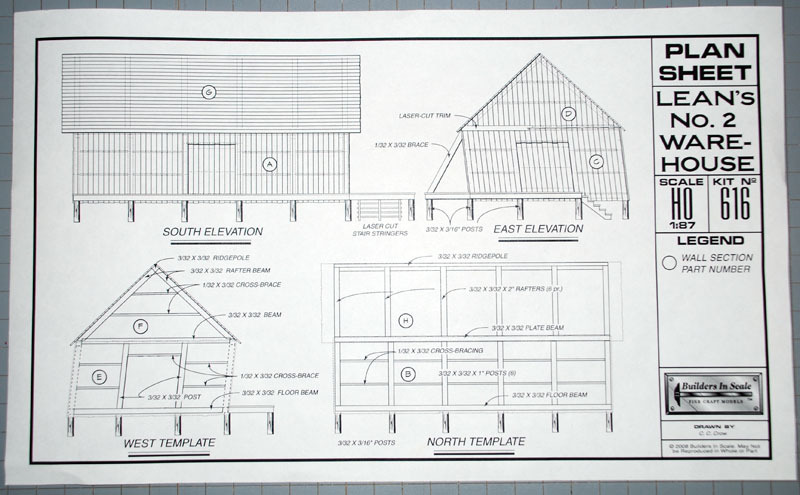 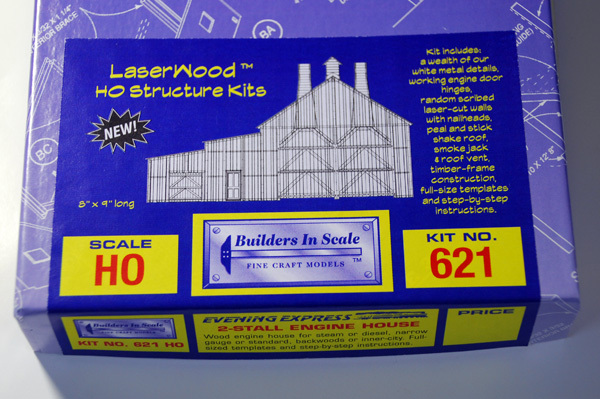 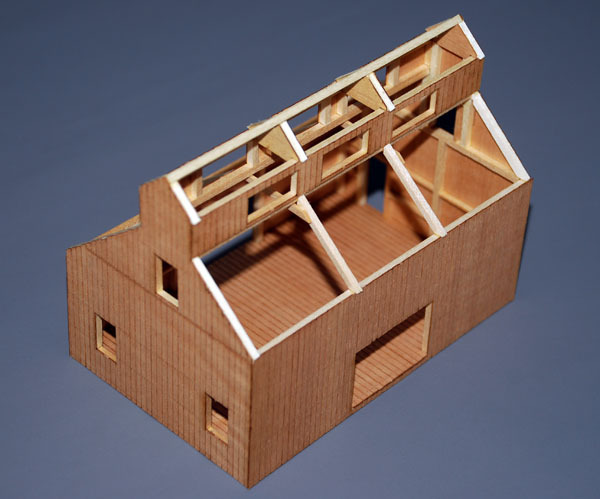 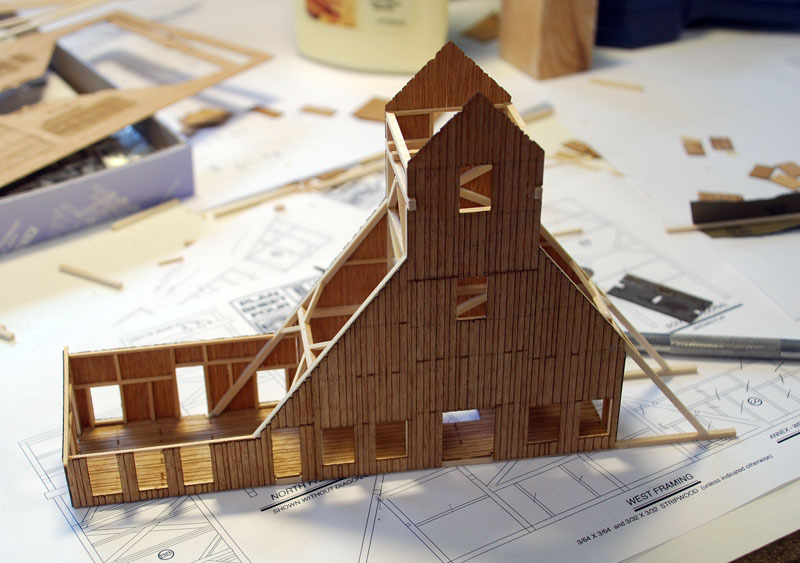 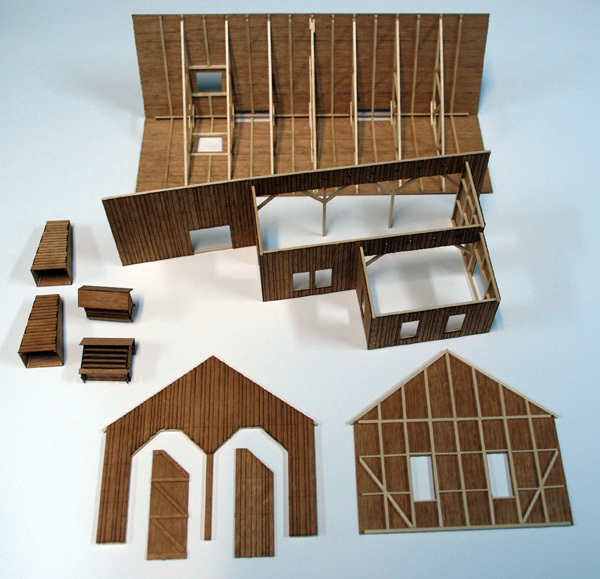 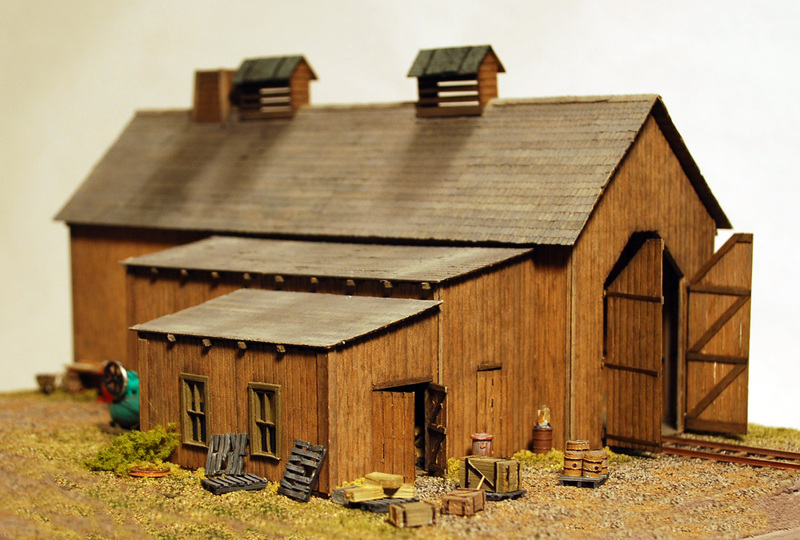 Because the wood siding is prototypically thin (only .023") they are supported with traditional timber framing which adds greatly to their authenticity and your modeling experience. 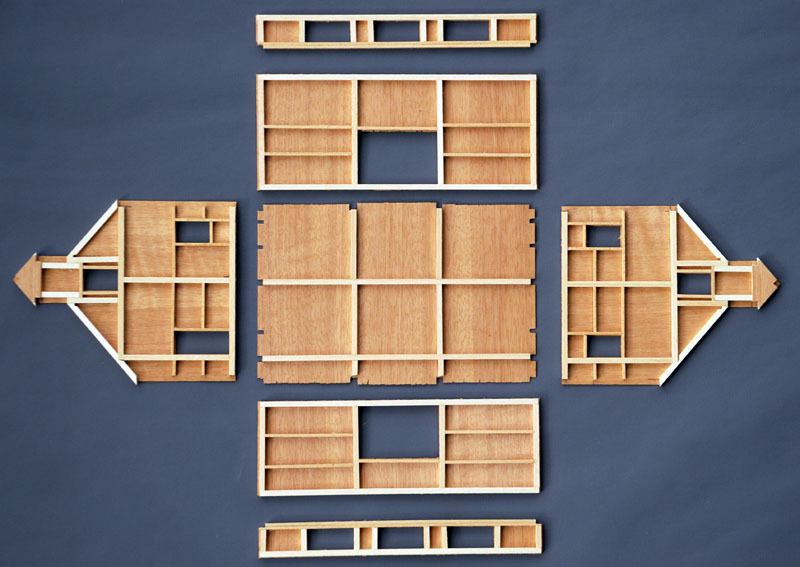 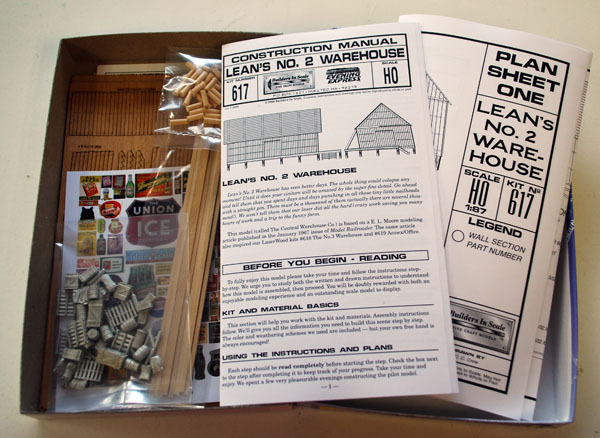 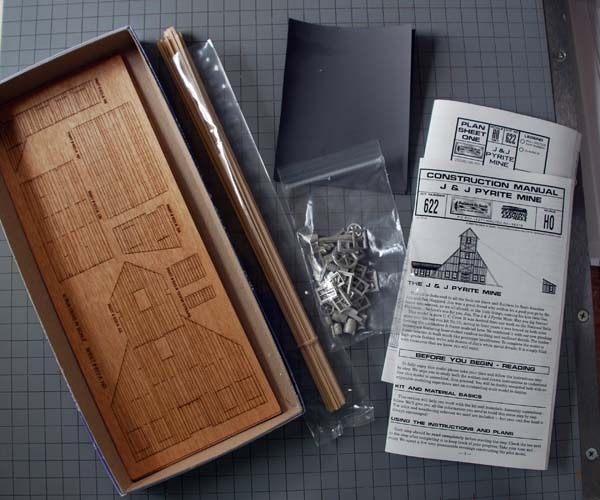 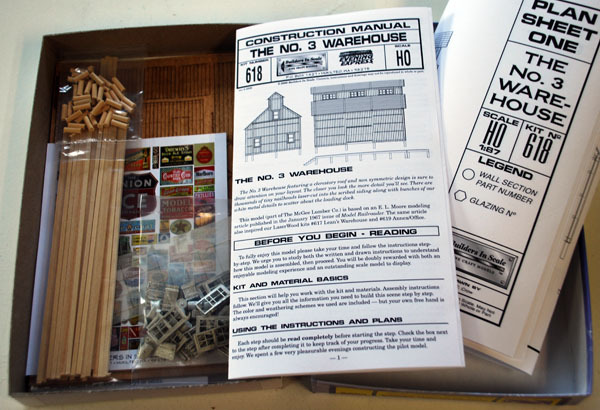 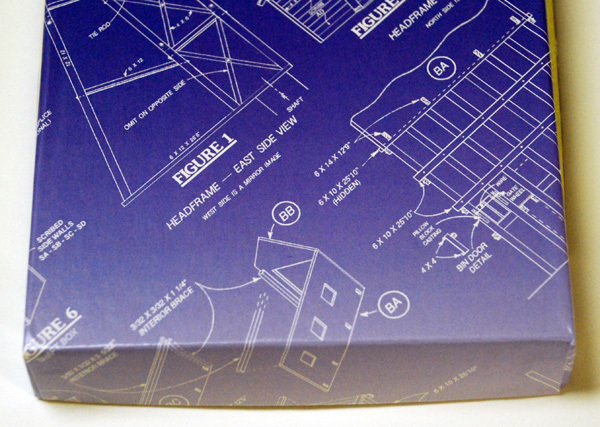 If you like good old fashion board-by-board construction you'll love these. 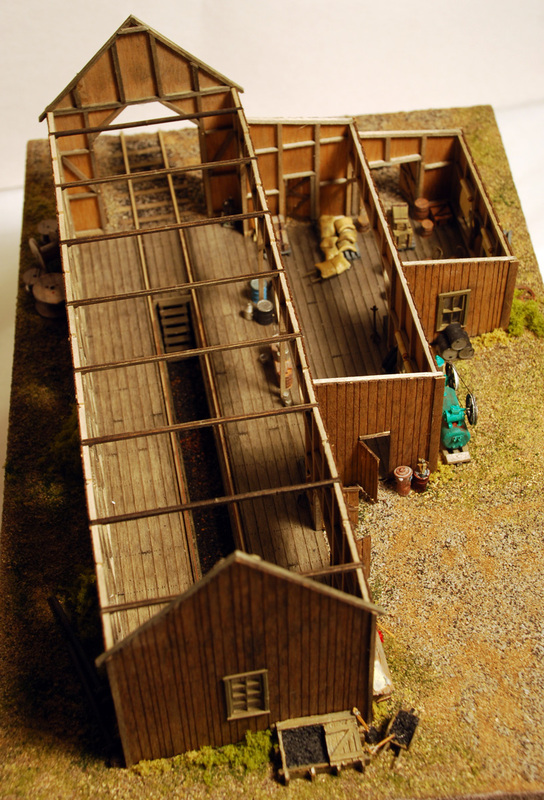 Preliminary photos shown. 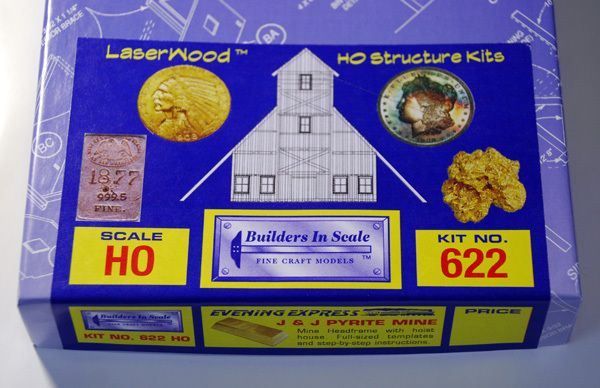 Click on any of the photos above for details, or code-link bars below, left.